To make tea, use about a teaspoon of dried chamomile flowers per cup. Place the chamomile blossoms in a tea infuser , pour boiling water over the chamomile flowers, and then steep for 5 minutes. When it is hot outside, I add ice cubes after steeping for a fresh flavored iced tea.... 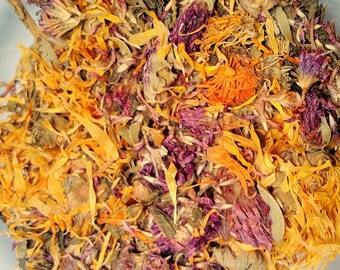 The tea can be made from flowers freshly picked or dried. Freshly picked flowers can be added directly to a pot filled with just boiled water. The white and yellow flowers of the chamomile plant have been popularly used over centuries, in both its fresh and dried forms, for preparing healthy herbal teas.... Pour 8 oz of boiling water over 1 tbsp dried chamomile flowers, steep covered for 5 minutes. Allow to cool slightly. Soak a washcloth in the tea and place over acne scars (be sure your face is freshly washed). Leave for 10-15 minutes. 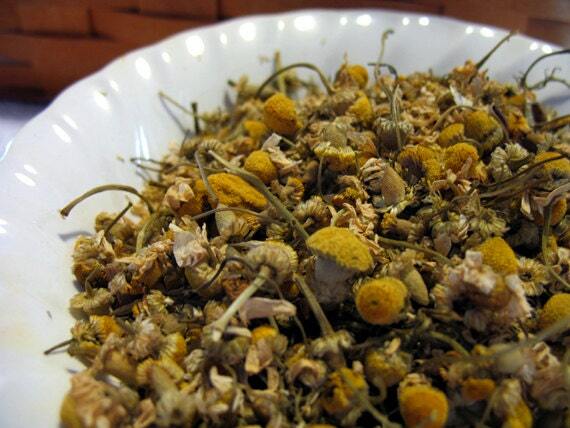 To make tea, use about a teaspoon of dried chamomile flowers per cup. Place the chamomile blossoms in a tea infuser , pour boiling water over the chamomile flowers, and then steep for 5 minutes. When it is hot outside, I add ice cubes after steeping for a fresh flavored iced tea.... Making chamomile tea is very easy when you find the flowers growing in your garden. But culinary dried chamomile flowers are easy to source online too. To make tea, use about a teaspoon of dried chamomile flowers per cup. Place the chamomile blossoms in a tea infuser , pour boiling water over the chamomile flowers, and then steep for 5 minutes. When it is hot outside, I add ice cubes after steeping for a fresh flavored iced tea.... Pour 8 oz of boiling water over 1 tbsp dried chamomile flowers, steep covered for 5 minutes. Allow to cool slightly. Soak a washcloth in the tea and place over acne scars (be sure your face is freshly washed). Leave for 10-15 minutes. 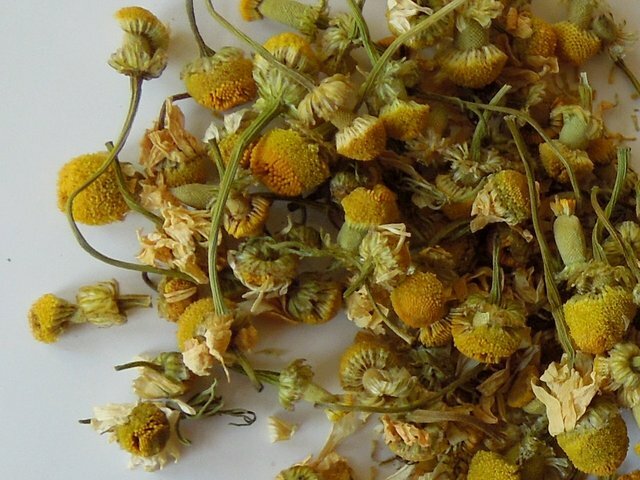 Pour 8 oz of boiling water over 1 tbsp dried chamomile flowers, steep covered for 5 minutes. Allow to cool slightly. Soak a washcloth in the tea and place over acne scars (be sure your face is freshly washed). Leave for 10-15 minutes. A tray full of chamomile flowers harvested from my garden. Blooms not used in the tea are placed in the airing cupboard (still on the tray) to dry for a few days.